When we here at www.purely-games.com were just lads, back in Roman times, spear throwing was a useful skill. Not only was spear throwing useful in hunting, killing barbarians and keeping the wife in check, it was also very useful in spear throwing competitions. In this spear throwing game you play the part of Maximus, a spear throwing centurion. The objective of the game is to hit the middle of the targets before the time runs out. There are no real rights and wrongs, just play by trial and error. Click with your mouse to select and pick up the spear, use your mouse again for your angle then click again to shoot. 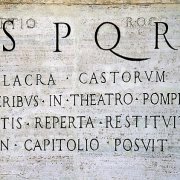 After you play this free spear throwing game, why not check out and play our other free online Roman games? In another of our Roman soldier fighting games slaughter those who have turned against the empire! In this fighting online game you're a Roman slave and have to win over the crowd to win freedom! 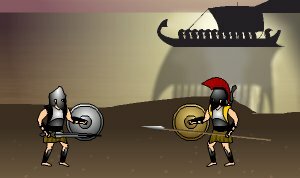 In these Roman fighting games play the role of Achilles, Greek soldier and destroyer of Troy!